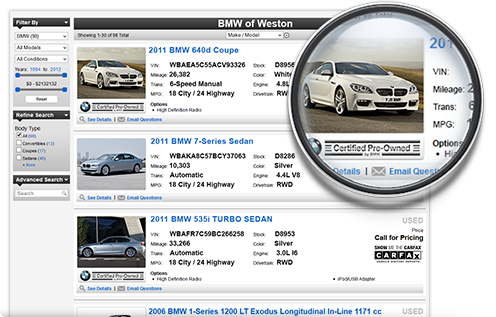 Your inventory’s appearance online may be the first and only impression shoppers have of your dealership. With Auction123’s dynamic inventory enhancement tools, you’ll have access to the industry’s best solutions to make your units stand out from the competition and generate more leads. Photos are the most important aspect of your Internet presence. Don’t waste time adding images. Our rapid photo uploader lets you upload hundreds of images in seconds. Enhance your presentation with our image editing tools including text overlays and watermarking features. 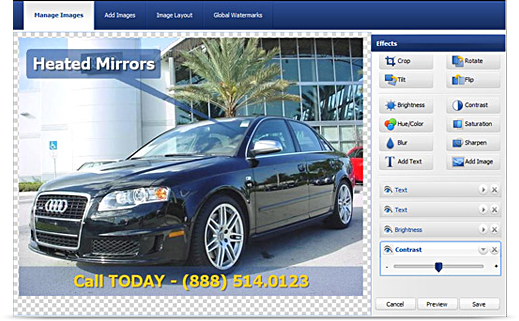 We offer two IZMO Stock Photo packages for when actual photos of the car are unavailable. Get the right message across with our description management tools. Create unique descriptions on a per vehicle basis for your website, eBay ads, and online classifieds. Have a consistent message you want included on all vehicles? Set a default message to be applied to all inventory upon import and customize when needed. Video, especially YouTube video, is a powerful way to market inventory online. 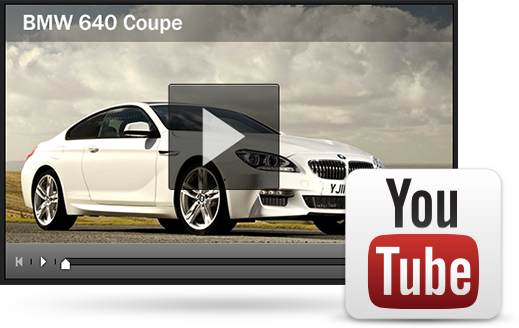 Dealers who capture their own video and upload to YouTube can easily embed the video code within the Auction123 dashboard for each vehicle, boosting your views and increasing your chances of being indexed by Google spiders. Auction123 also provides an automated video generating solution and will feed these videos to your YouTube channel, or to your Cars.com and AutoTrader.com accounts. 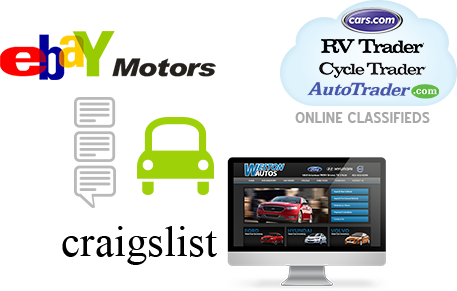 Auction123’s detailed vehicle presentations for your website, eBay, Facebook, and Craigslist listings are designed to draw the attention of your shoppers to the most important features of your inventory. 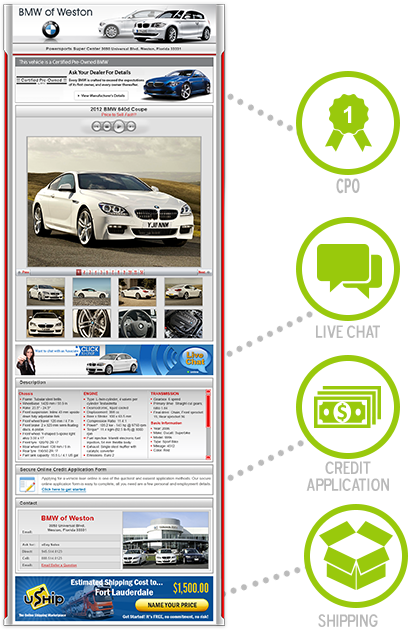 Our dynamic template editor provides complete customization to your presentations. Integrated throughout your ads are calls-to-action for your shoppers including secure credit applications, uShip shipping estimates, contact forms, and more. We also offer Live Chat integration! 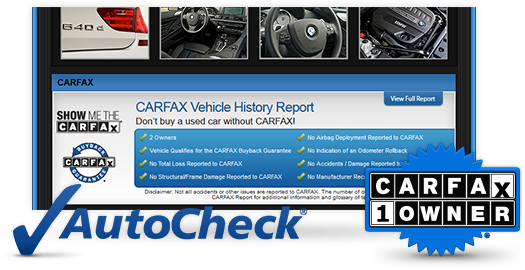 Easily integrate your CARFAX or AutoCheck account information within the Auction123 system to automatically present vehicle history reports within each vehicle presentation. Our CARFAX integration includes branding within your inventory showroom, window stickers, and history report highlights within your vehicle templates.